USPA NEWS - For the fourteenth time, three months of mobilization, tens of thousands of "yellow vests" marched, Saturday, February 16, in several cities of France during a relatively peaceful act XIV in Paris, although violence was characterized in cities like Toulouse, Bordeaux and Lyon. The Yellow Vests announced a number of 110,000 protesters against those of the Ministry of Interior who counted 41,500 demonstrators in France, including 5,000 in Paris. On November 17th, during the first Yellow Vests event, they were 289 000 to defile .... against the carbon tax at the time. Since these three months, at a frequency of a demonstration by Saturday (Yellow Waistcoats work the week and demonstrate the weekend), the claims have evolved but still remain on strong and consistent slogans: "Macron Demission", RIC "(Referendum Initiative Citizen", and Return of the ISF. ") The basic grievances , are based on a demand for more justice, more democracy, and tax justice. For the fourteenth time, three months of mobilization, tens of thousands of "yellow vests" marched, Saturday, February 16, in several cities of France during a relatively peaceful act XIV in Paris, although violence was characterized in cities like Toulouse, Bordeaux and Lyon. The Yellow Vests anointed a figure of 110,000 protesters against those of the Ministry of Interior who counted 41,500 demonstrators in France, including 5,000 in Paris. On November 17th, during the first Yellow Vests event, they were 289 000 to defile .... against the carbon tax at the time. Since these three months, at a frequency of a demonstration by Saturday (Yellow Waistcoats work the week and demonstrate the weekend), the claims have evolved but still remain on strong and consistent slogans: "Macron Demission", RIC "(Referendum Initiative Citizen", and Return of the ISF. ") The basic grievances , are based on a demand for more justice, more democracy, and tax justice. FOUR MAJOR MEETINGS IN DIFFERENT DISTRICTS OF PARIS------------------------------------------------------------------ In the French capital Paris, the traditional stronghold of contestation, went on a procession of several thousand people (round 4000 according to Interior Ministry, and 8000 according to the Yellow Vests organizers) who had found Place de l'Etoile before going down the Champs-Elysées. Afterwards, they marched while crossing the Seine towards the Boulevard des Invalides (Opposite to the french National Assembly, and the Ministry of Foreign Affairs, in the 7th district of Paris). Under a bright sun, the demonstrators paraded quietly against the backdrop of hostile slogans addressed to the police. They were no violences at this stage. After brief encounters on the edge of the Invalides esplanade with them, the "yellow vests" were scattered, as some joining the Champs-Elysees in the early evening. According to the police headquarters, 26 people were arrested, although the tensions seemed less than in Act XIII. A protester had his hand torn off during clashes in front of the National Assembly. 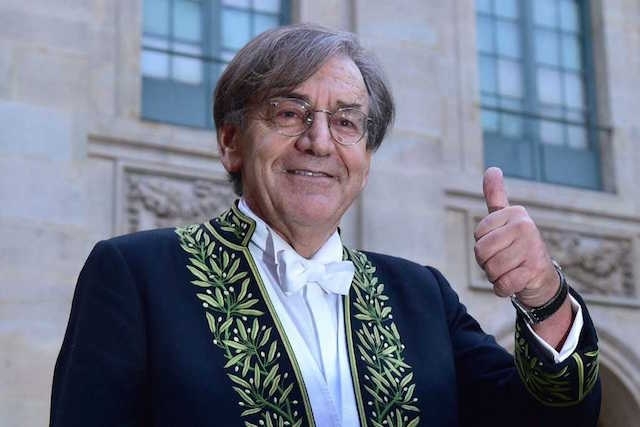 ALAIN FINKELKRAUT FRENCH ACADEMICIAN WAS INULTED OVER HIS JUDAISM The Parisian mobilization, however, experienced a brief moment of tension when the procession crossed the path of the Academician, philosopher Alain Finkielkraut, in the late afternoon, at the 14th district, of Montparnasse. 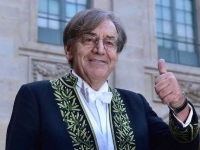 Since then, The Paris prosecutor opened an investigation, Sunday, February 17, for "public insult because of the origin, the ethnie, the nation, the race or the religion" after the antisemitic insults of which the victim was the philosopher and writer, Alain Finkielkraut, Saturday, on the sidelines of the Parisian mobilization of "yellow vests". The investigation was entrusted to the Human Crime Suppression Brigade (BRDP). For his part, Alain Finkielkraut said he would not complain, saying "neither victim nor hero". Sunday night, on BFM, he said: "If I had gone through, I would have had my face smashed, I owe my greetings to the CRS cordon. Unfortunately, this is not the first time. I will not complain, I am not here to punish, but to understand. 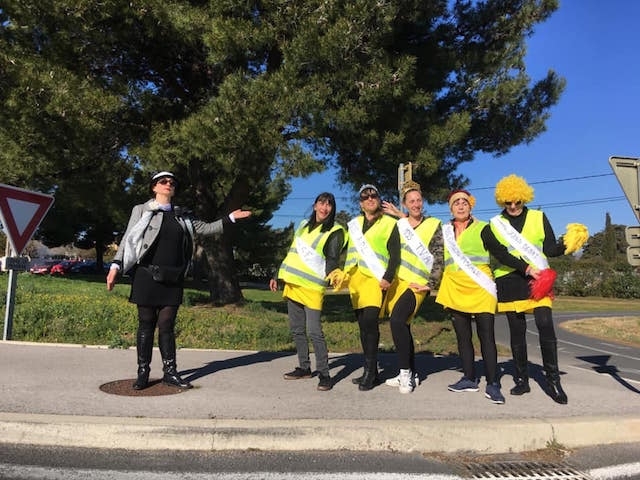 "The philosopher and academician was taken part the day before by "yellow vests", on the sidelines of the fourteenth Saturday of mobilization. On videos shot boulevard du Montparnasse. A large meeting is scheduled for Tuesday, at Republique Arena, to protest against this Antisemtiist attack.------------------------------------------------------------------------------ In Lyon, several thousand demonstrators had gathered early in the afternoon in the city center, a mobilization similar overall to those of previous Saturdays. 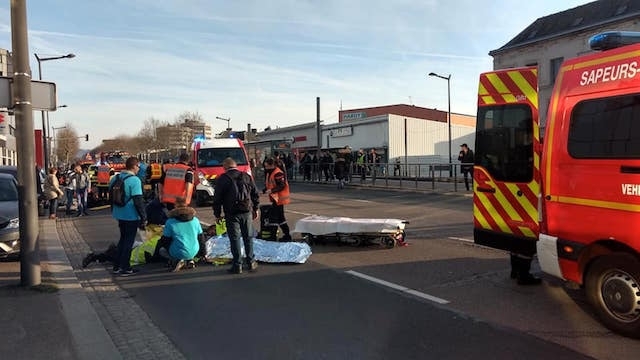 In the late afternoon, the demonstration of "yellow vests" blocked for two hours traffic in a direction of the A7 motorway through the city of Lyon. A police vehicle, belonging to the highway CRS, was caught in the traffic when it was violently attacked. This violent attack by a police van, filmed from inside the vehicle and broadcast by the LCI channel, was strongly condemned by the authorities, in the first place by the Minister of the Interior Christophe Castaner. "We are caught and we get paved," we hear the police officer who is filming the scene at the beginning of the video, which lasts more than a minute.------------------------------------------------------------------------------------------------------------------------- Driving, his colleague tries to find his way between two lines of cars, under the jets of projectiles. 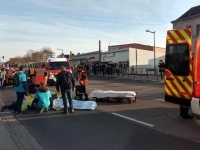 The prefecture of the Rhone condemned "with the greatest firmness the attack of CRS yesterday during the demonstrations of yellow vests in Lyon", in a statement published Sunday morning. The Lyon prosecutor's office opened an investigation for "acts of violence with weapons and in meetings of persons holding public authority", entrusted to the Departmental Security, without questioning at this stage.